Njideka Harris-Eze - Conseillers T.E. 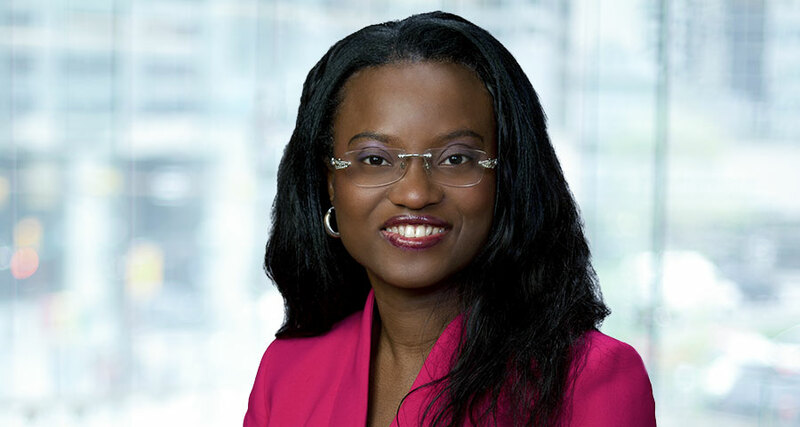 Having held progressive positions in banking and financial planning, Njideka understands the dilemma facing many Canadians today – how to reconcile current financial demands with their future financial security. As a committed financial planning professional, mother of three and community volunteer, she can certainly empathize with this situation. Njideka’s professionalism, passion and perspective are what make her such an effective financial advisor and educator. As a consultant in T.E. Wealth’s Financial Education & Employer Services division, she relishes the opportunity to make a real difference in the lives of the employees she counsels. Njideka firmly believes that everyone can achieve financial security, provided they become knowledgeable about financial matters and put a plan into action. Through workplace seminars and one-on-one financial counselling, Njideka shows employees how to make the financial system work in their favour. For her, the reward comes from seeing the people she advises discover how they can realize their goals and resolve the problem of financial insecurity. Njideka holds the Financial Management Advisor (FMA), Chartered Investment Manager (CIM) and Certified Financial Planner® (CFP®) designations. In 2015, she completed the Human Resource Management Certificate from the University of Calgary. Une rencontre avec un de nos planificateurs financiers pourrait vous être utile? Complete the form below to have this Consultant contact you to arrange a Financial Mapping Session. Or you can contact us directly at 1-877-845-3201 or 416-366-1451 (from 8:30AM to 5PM EST).